You may have seen the recent news stories about the African hunting trip taken by two of Donald Trump’s sons where they shot and killed a number of wild animals, apparently for no purpose other than recreation. 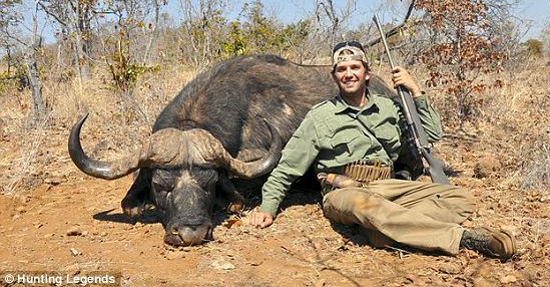 Photos of the hunt went viral on social media and they are disturbing. 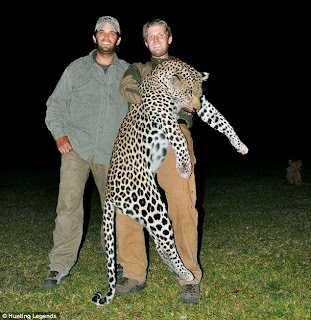 Why a leopard, elephant, crocodile and various other animals had to die for the entertainment of two very wealthy men is really a puzzle, and even an outrage for others. The copious amounts of bad press appears to have drawn enough attention to the hunt now a conservation group in Zimbabwe is investigating certain aspects of it. 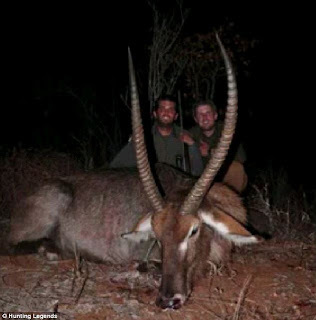 The chairman for the Zimbabwe Conservation Task Force said usually professional hunting guides register with his organization or the government but his group doesn’t have records for the Trump hunt. 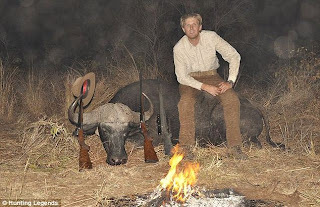 He said they are investigating where the money paid by the wealthy businessman went, because there is corruption and unethical conduct happening in some safari operations. One defense Donald Trump Jr. offered was the meat from the animals they shot was given to local villagers. However, the Zimbabwe Conservation Task Force official said no people live in the area where the hunt took place. Hunting Legends International provided the hunting experience to the Trump sons and they say it was both legal and ethical. 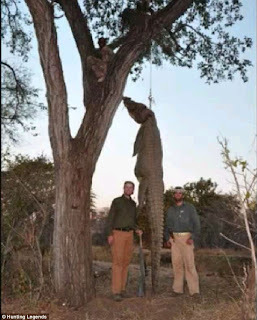 Their website published a peculiar statement in relation to the hunting of some wild animals as of March 26, 2012. The misspelling of therefore and lack of an ending period are from their own quote. 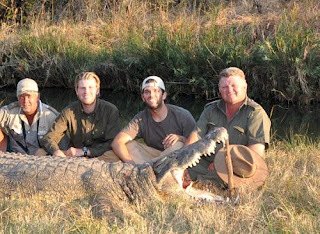 Is it really a conservation service they are providing by leading hunters to ‘old’ and ‘mature’ males to shoot them? How would they decide which males are too old or mature? 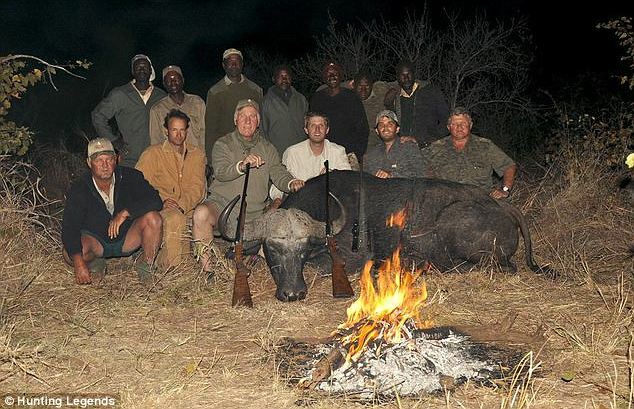 Also are they really saying foreigners come to Africa and pay ten thousand dollars to shoot an ‘old’ buffalo? None of their statement seems to make much sense. One of their Big 5 animals hunts is $750 per night and there are minimum packages of at least ten nights. 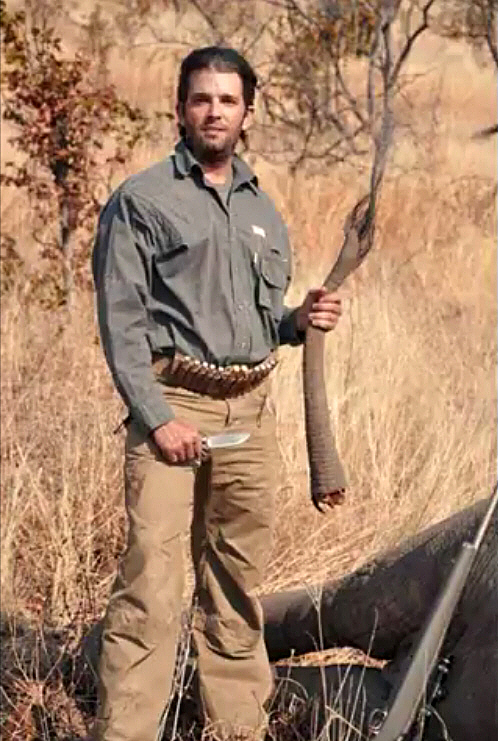 The elephant hunt is an 18 night minimum, which would cost over $10,000. It seems clear enough the point of these hunts is profit-making and not conservation. 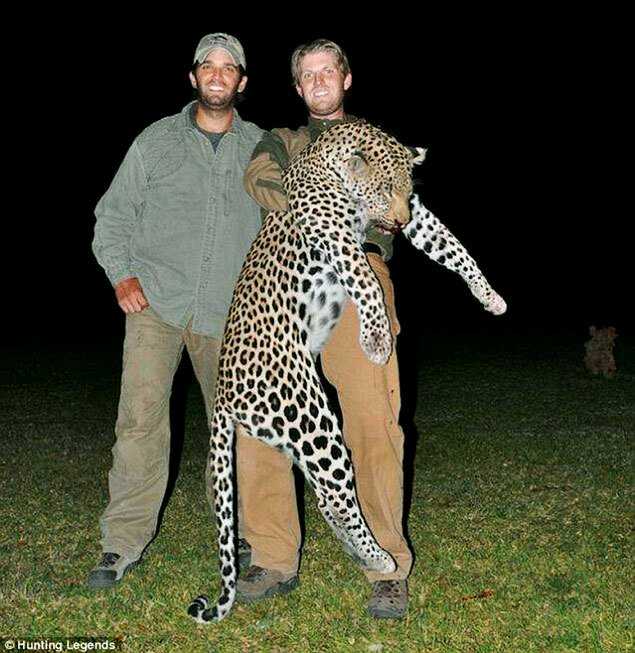 Photos have surfaced of Donald Trump’s sons proudly smiling next to the dead carcasses of a variety of wild animals that they killed while on a big game hunting tour in Africa. 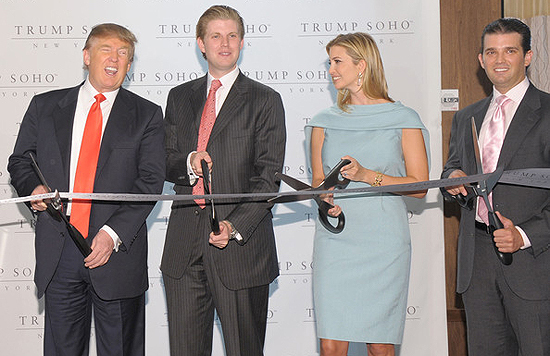 Donald Trump told TMZ that ‘My sons love hunting. They’re hunters and they’ve become good at it.